Ivan Wilson-Bey ran in tight quarters all night for Bonita. Glendora led 28-8 at the end of the first quarter and 42-8 at the half en route to an easy and convincing 55-30 win over the Bearcats, who dropped to 3-6 after the loss. On Glendora’s opening drive, the Tartans marched 62 yards down the field, the last 32 coming on a touchdown strike between quarterback Bryce Wooldridge and Parker Haveles. After a poor Bonita punt, Glendora was back in business again, starting at its own 43-yard-line. Glendora’s offensive line was opening up huge holes for running back Eric Franco. But even when the Bonita defense finally forced him to cough up the football at the goal line, it was the Tartans who recovered the ball in the end zone to give Glendora its second touchdown. After the extra point, the Tartans led 14-0. 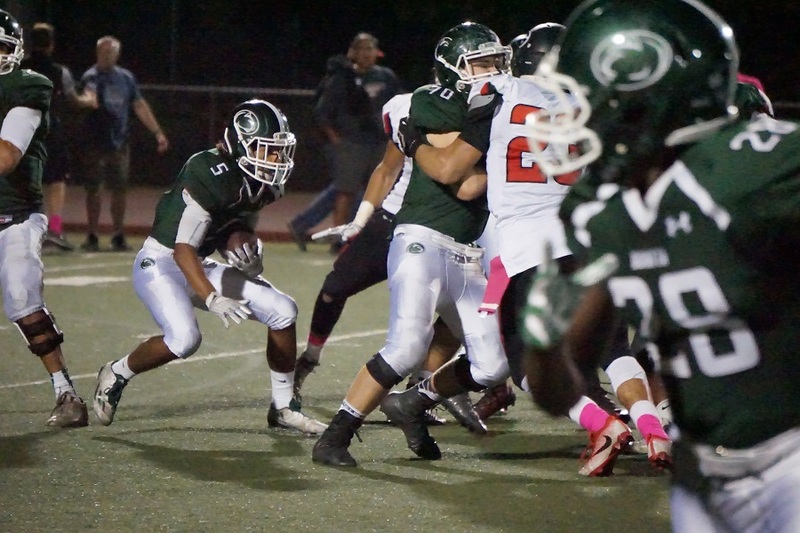 Things only got worse for Bonita when the Bearcats went back on offense. Under constant duress, signal caller J.P. Andrade was picked off by Cameron Keller, who ran back the errant pass for a touchdown to make the score 21-0 after the extra point. Little was going right for Bonita. Even when Joey Reynolds recovered a fumble and ran it back for a touchdown, bringing the Bonita crowd to its feet, the score was taken off the board because of a holding penalty. Bonita finally dented the scoreboard on a touchdown toss from Andrade to Joshua Ferrel. The two-point conversion to John Harris closed the gap to 21-8 and as the first quarter came to a close, it appeared Bonita might finally be getting its act together. Those hopes, however, were quickly dashed on the first play from scrimmage to start the second quarter. Wooldridge threw a 64-yard completion to Dylan Hill who never broke stride as he got behind the defensive backs and raced into the end zone. After the extra point, the Tartans led 28-8. Glendora’s advantage only grew from there in the first half after a 4-yard touchdown run from Haveles (35-8) and a 5-yard touchdown jaunt from Franco (42-8). In the second half, Bonita showed as it has all season, it can points on the board, but it’s early deficit was simply to great to overcome. Glendora’s performance was dominant and signaled the Tartans’ readiness for a playoff run. For Bonita which faces South Hills next week, it will be back to the drawing board. 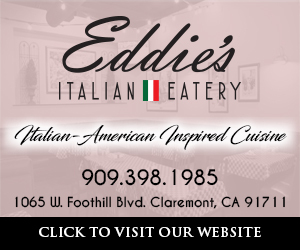 After the game, make a run to Eddie’s Italian Eatery in Claremont for a great selection of authentic Italian dishes.